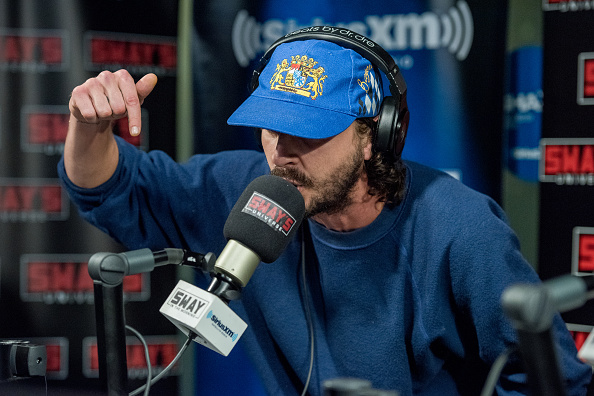 Welp, we have one more thing to add to our list of “strange things we learned about Shia Labeouf after Even Stevens.” And that thing is that apparently Shia LaBeouf has become a freestyle rapper in his free time? Yeah, no, we’re not kidding. If we were going to make a second list entitled “things we think it least likely for Shia Labeouf to be good at,” freestyle rapping would’ve definitely made the cut. But if we’ve learned anything about Shia in recent years, it’s that he’s always looking for a new way to express himself, so the more we think about it, the lest surprised we are by this development. Check out the full rap below. It starts at about 1:30 and goes on for like, five whole minutes. We can’t even imagine how hard it is to just spitball for so long. We’re not sure if this is Shia’s way of announcing his new music career, or if this is going to continue to be a hobby, but we’re keen to find out. While we don’t necessarily think Eminem has to watch his back just yet, Shia’s definitely got some skill. "It's a dream yes sir I'm the belle of the ball / Never thought my rhymes was eligible / Rhymes are negligible unintelligible / Now I'm exceptional unquestionable no question I'm full / My cup runneth over this s--t is going viral." Alllllright, Shia. We see you.